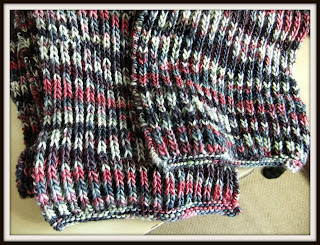 My Brioche Scarf that I mentioned in this post is finished. 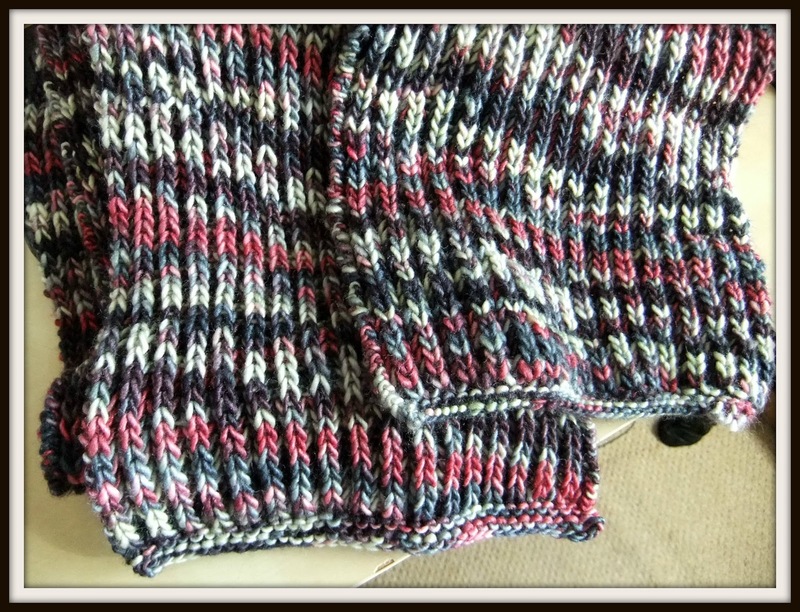 I've been making an effort to finish it now that it's getting colder. 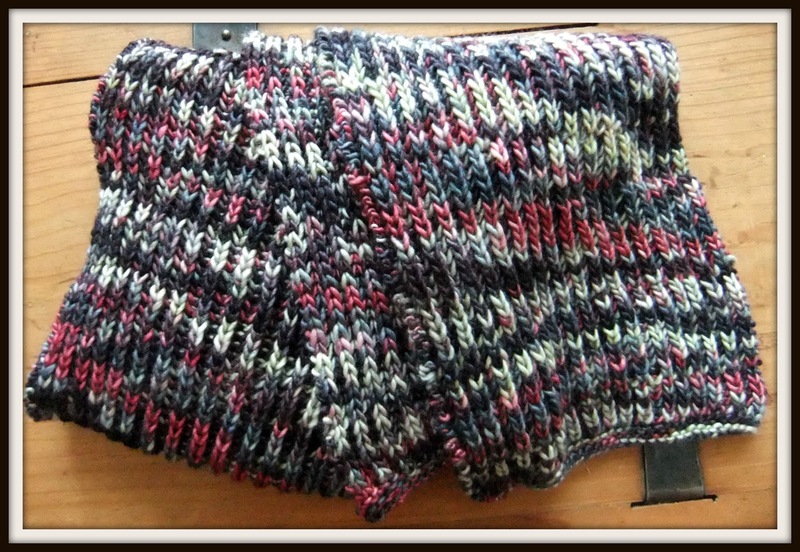 I didn't use a pattern for it, but it is based on the Fourteen Neckwarmer (Ravelry link). 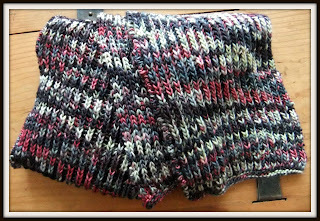 I cast on 36st, and Knit four rows, then I worked the Brioche stitch on every row until I had a little bit of yarn left. I then knit three rows, and cast off. And that was it!! 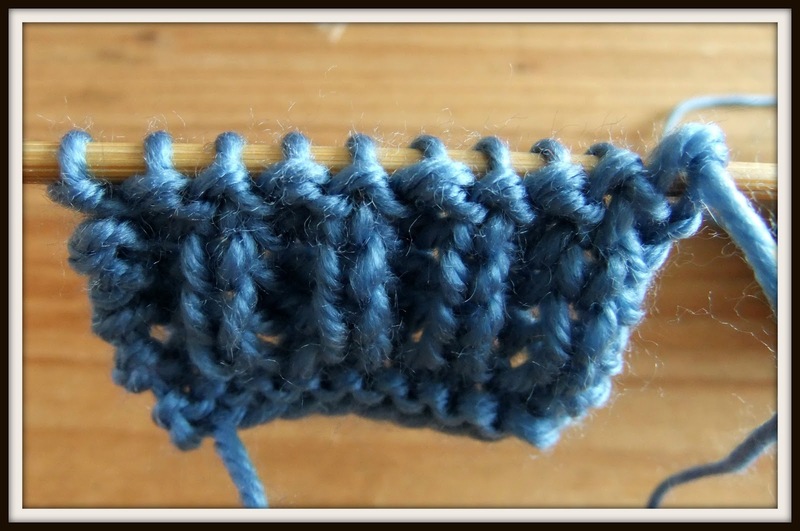 The brioche stitch is very easy, so this became mindless TV knitting. 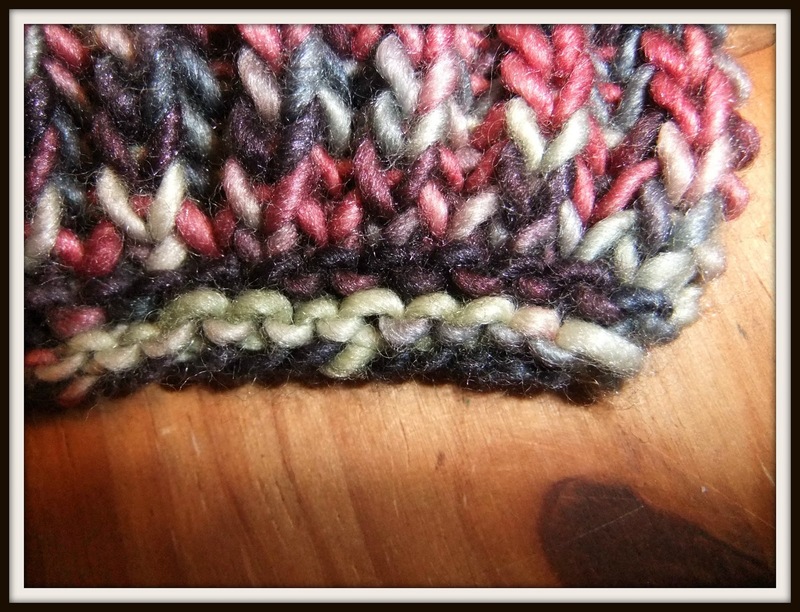 And as the brioche stitch is the same on both sides, it's reversible! 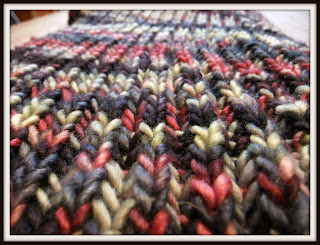 The yarn is Manos Del Uruguay Silk Blend DK, 70% Merino and 30% Silk. 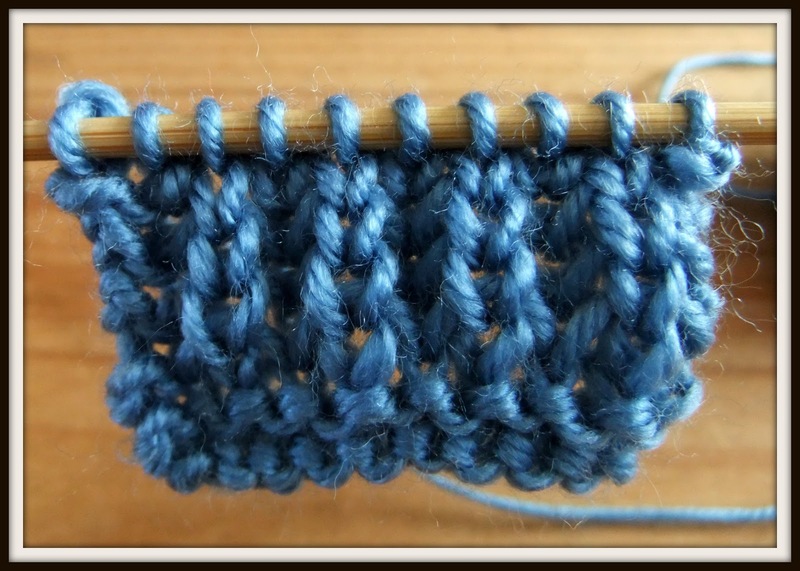 The colour is called 9332 Capricorn, and I used two skeins. 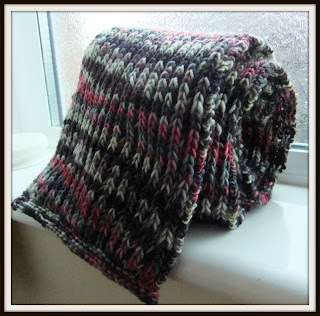 It's gorgeously soft, and lovely and warm. Just the thing for winter! 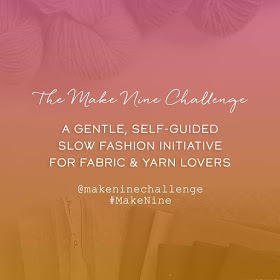 I did a how to on this before, but I thought I'd update it. 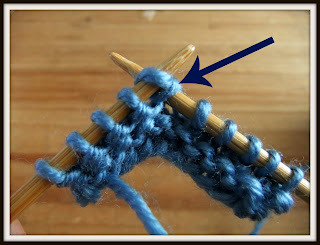 There seem to be a few different ways to do this stitch, but this is how I do it. 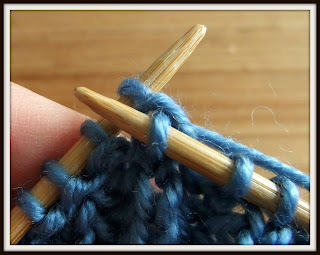 Cast on however many stitches you need, but they must be an even number. 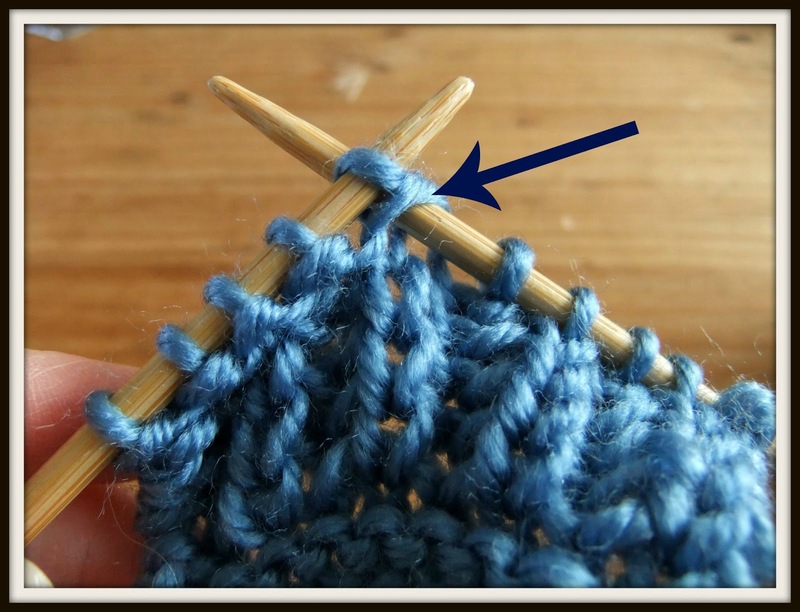 The brioche stitch is worked by inserting the right needle into the stitch below the next stitch to be worked on the left needle. 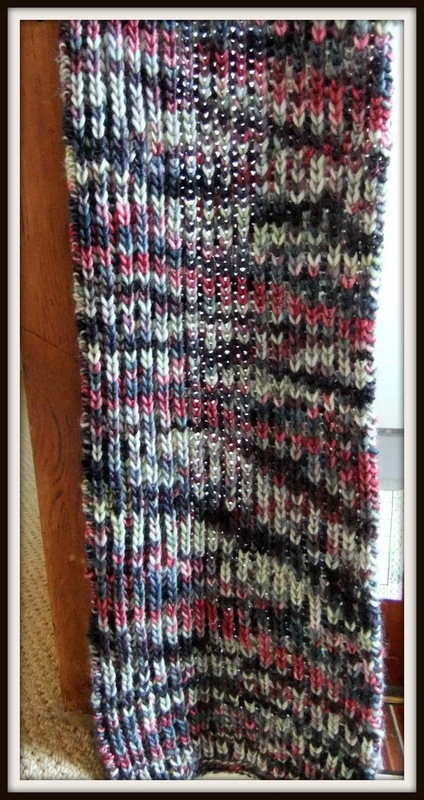 Here's how I did my scarf. *K1, B1* :repeat from * to 2 stitches from the end of the row, K2. The above photo is the first brioche row after the four knit rows. So I have done K1, B1, K1, B1, K1, and the stitch being worked is B1. See how the right needle goes in under the top loop of the stitch on the row below? 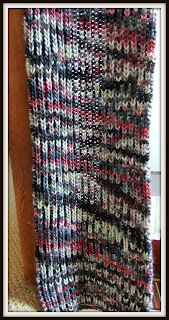 And this is the same thing after a few rows have been worked. 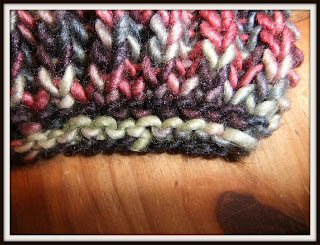 I found it was easy to see which stitch was to be worked as a brioche stitch, as the worked brioche stitch columns stand out from the knit columns. I'm not sure if it's clear in the photo though. Then knit the stitch as normal - bring the yarn around the right needle, and the right needle through to the front. Then move the worked stitch off the left needle as normal. 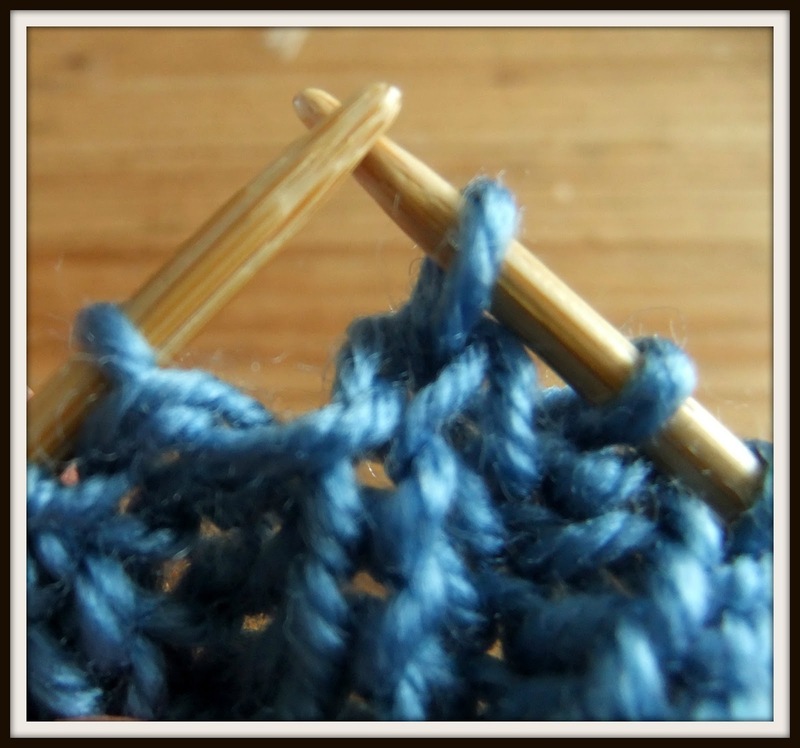 Now, at this point you may think that it's all going to unravel, but it won't! Once the row is finished, it will look like the above photo; and when it is turned around to start a new row, it will look like the photo below - you can see the working yarn on the right. I hope this makes sense, because I know I'm not very good at explaining things! Thank you for your comments about my photos, I am glad they are understandable! 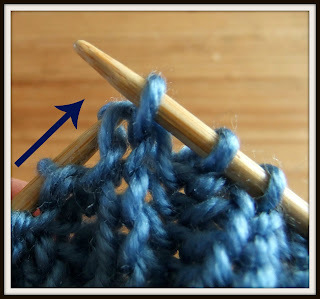 Great tutorial, thanks! 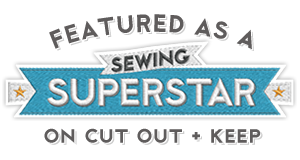 I always thought it was a complicted stitch, but you make it sound easy!